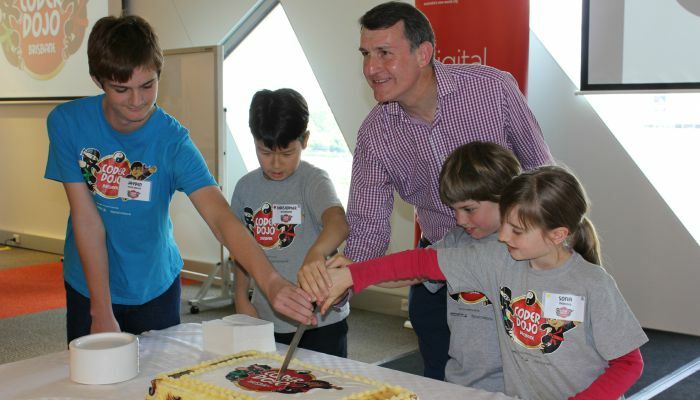 Lord Mayor Graham Quirk congratulated over 60 children and mentors as CoderDojo Brisbane celebrated a significant milestone with its 1000th enrolment. Cr Quirk said the digital coding program, which aims to provide the city’s youth with practical digital skills in real-world situations, had received a great response. 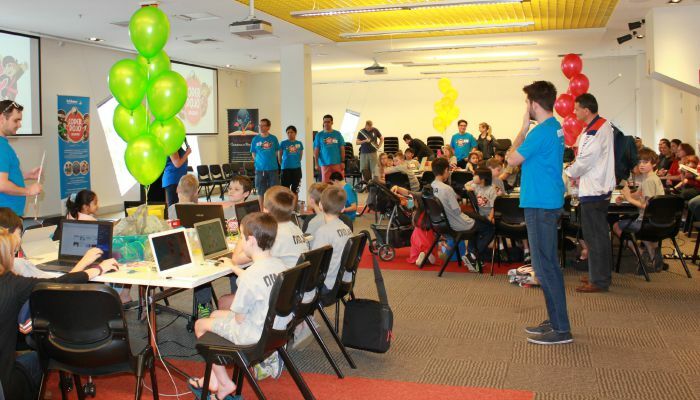 “Brisbane was the first city in Australia to introduce the program and since launching in July 2013, CoderDojo Brisbane has held over 180 sessions with more than 1000 children in attendance, recruited more than 300 mentors and had more than 56,000 visitors to the website,” he said. 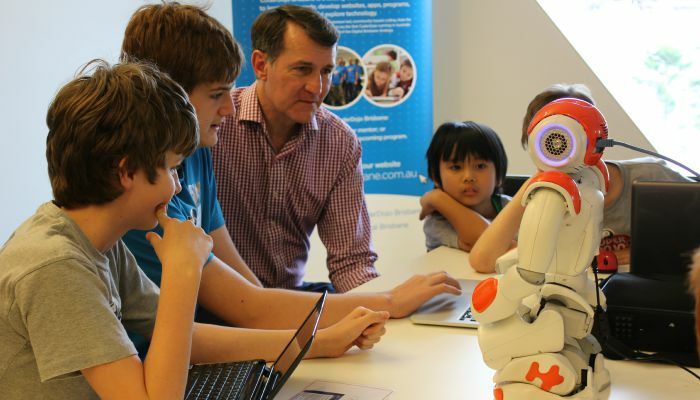 During the school holiday session, each of the children met with Franco the Nao robot, made MakeyMakey invention kits and tried out the Oculus Rift reality goggles.